I couldn’t agree more with this post from Parenting for a Digital Future. Calm common sense of just the sort I like to think I preach! I cover the first four in my talks, as I did last night to parents and other adults at Epsom College and the night before that at Dragon School in Oxford. (Wouldn’t you just love to go to a school called Dragon School?!) Had a lovely time at both schools, by the way. I always make the point that I and most of the adults in the room will have been online and on screen since before today’s teenagers were born. We’ve had as many or more hours practising our skills, we have excellent brains which are eminently capable of learning new things and we’ve altered our brains in doing so, just as they have. They are not born with “digital brains”. As well as being equally (or more) capable, we are probably equally likely to become addicted and behave very badly online, as we see evidenced daily. I know of many teenagers who behave impeccably online and many adults who don’t. Screens bring enormous benefits and potential. We need to remember that, celebrate it, and then calmly and cooly look at what the negatives could be. And then manage them. 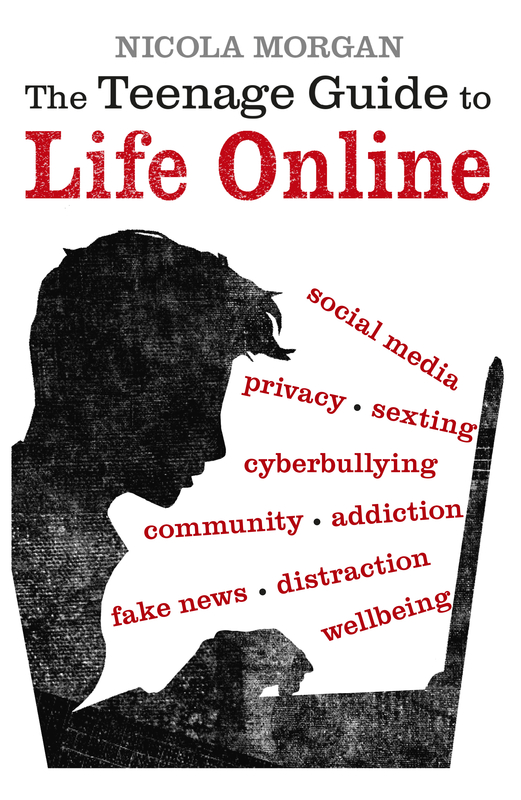 As I explain clearly and in detail in The Teenage Guide to Life Online (which I recommend all teenagers buy for their parents…), our screens can be tools, not tyrants. Adults have a duty to find out how. Do read Sonia Livingstone’s post for her reasoning.